In a 21-77 vote on Thursday, the Senate rejected a bill from Sen. Rand Paul (R-KY) aiming to block a $300 million arms sale to Bahrain. The bill was heavily opposed by the White House. Bahrain is among the participants in the Saudi-led, US-backed war in Yemen, and failing to secure the arms deal might’ve obliged them to quit the conflict. This was seen as a major goal of the bill, to both pare back the Yemen War in general, and US involvement in supporting the invasion in particular. Widespread killing of civilians and general war crimes in Yemen have some in Congress looking to get the US out of Yemen. There seems to be more support for this in the House, though the House leadership has twice changed rules at the last minute to prevent direct votes on US involvement in Yemen. Today’s vote suggests that the Senate is still broadly in line with the administration’s priorities of increasing arms sales irrespective of the human rights consequences. Bahrain’s status as host of the US Fifth Fleet also had some senators arguing that the tiny island nation is simply too important to cross. The Houthis are on there own. Congress is useless and corrupt. The vast majority of Republicans and Democrats in power are immoral scum. Bahrain is a tiny place 3.5 times the size of Washington, DC with double its population, attached by a causeway to soul-brother Saudi Arabia.. But it means a lot to the Pentagon, so widespread killing of civilians isn’t a factor (it never is to the US). Naval Support Activity Bahrain (NSA Bahrain) is a United States Navy base, located in the Kingdom of Bahrain and is home to U.S. Naval Forces Central Command and United States Fifth Fleet. It is the primary base in the region for the naval and marine activities. A former military installation of the Royal Navy, command changed hands to the U.S. government in the early 70’s. 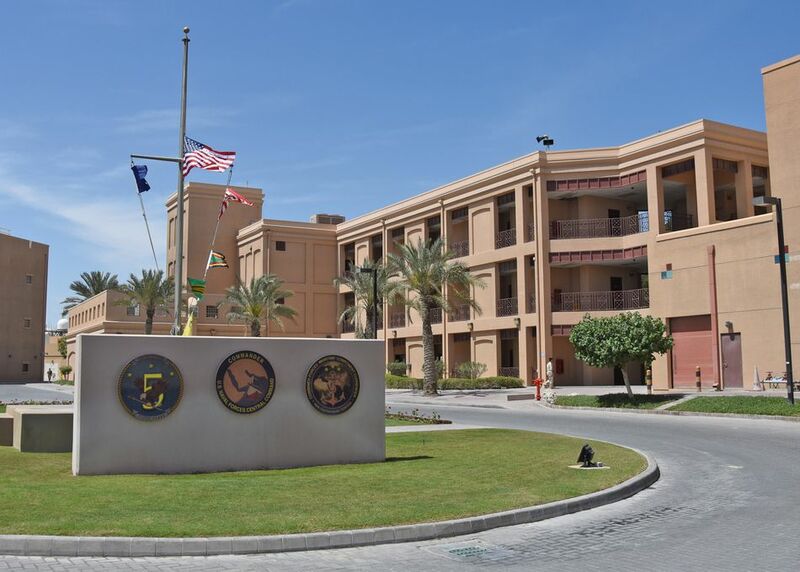 NSA Bahrain population consists of approximately 8,300 military personnel, DOD Civilian employees and their families, assigned to NSA Bahrain and 93 tenant commands, as well as Joint and Coalition Forces. Oh mighty Annunaki, we are not worthy.